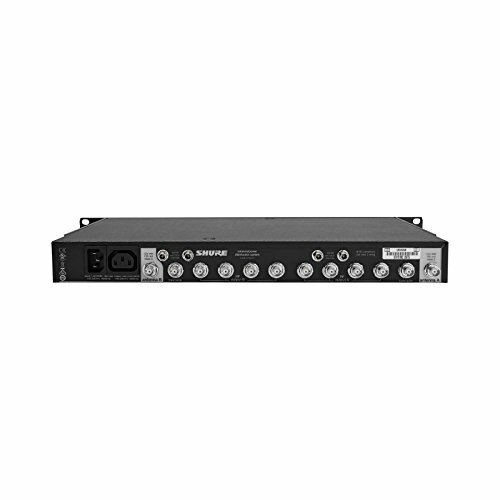 The Shure Model UA845UWB Antenna Distribution System allows four receivers to use the same set of antennas. The cascade connectors allow connections to a fifth receiver or a second UA845UWB. There are also power connectors for distributing power to each receiver. RF signal amplification compensates for insertion loss from splitting the antenna input to multiple outputs. A button on the front panel switches between one of five frequency bands from 174 to 1805MHz.